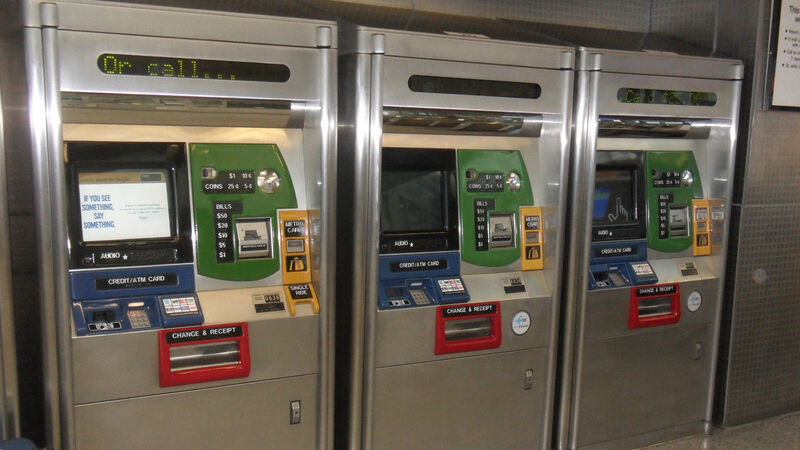 The MTA has a time traveling machine. I live on 79th st., which apparently may be the nexus of the universe for the MTA. Granted, its not 42nd st, union square, or atlantic ave, where 6-10 train lines converge onto one point in the system and thousands of people are walking through the terminal at any given time. Its a small station with not even an express train on it. They just added in emergency exits last year, which everyone loves to use and leave open for no apparent reason. However. There is much that leads me to believe that the 79th st station may hold a key to the future. 1. I’m always amazed at the stations ability to shut the entire 1 line down. I mean seriously shut it down. If its drizzling or really cold or really hot, the pink tape at the 79th st station entrance goes up and there is a crowd of people waiting in line at 72nd st to get down the stairs. Chances are, if you ride the 1 train, and there is a delay, its because something is going on at 79th st.
2. There are 2 large grates, each about the size of a Mcdonalds above the station. I’m not sure why and I really haven’t seen this anywhere else in the city (you can tell me I’m wrong, as I’m sure I am and most people will). What kind of heat is being generated from the subway that you need THAT much ventilation. 3. There are always strange men in suits and the police doing bag checks at the stop. Granted, this may just be the status quo for the area.. I mean it is the upper west side. However, I’m going to stick to my guns with this one. 4. There was/is mysterious water pouring down the stairs. So last month, I’m walking down the stairs into the subway and there is pools of water all over the stairs. I thought I might have rained, so I figured it was nothing. The next day was the same thing – and it had not rained. I came to realize that water was seeping out of the walls and on to the stairs. Normally I would have assumed this was a water main break, water pressure in some building was turning to crap, and the city would fix it ASAP. But no, this continued for 2 weeks. I was very surprised, as usually this would have given proper reasoning to shut down the train because of a “water condition” (see #1). Finally they decided that people might get hurt with water pouring down the stairs at rush hour, so they closed the stairwell. Now there is only one, 5 ft wide stairwell to get down into the subway station. Yes. it says the subway will be closed from 4/6/08 to 8/25/07. It all became clear to me then. The suits, the giant ventilation, the delays, the water… Some poor sap at MTA construction is going to get nailed because he made in obviously clear that the MTA has a time traveling machine. I dont know what they are using it for, but I’m sure its delayed.